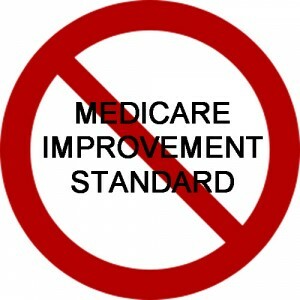 The false Medicare “Improvement Standard” under which the Medicare program and its payment contractors have sought to deny nursing home and other benefits for individuals who “fail to progress” or who have “plateaued” is about to be buried. The funeral is scheduled sometime after the first of the year. Good riddance. Almost two years ago I wrote (see Busting the Medicare “Plateau” Myth that nursing homes, Medicare payment contractors, and Medicare appeals contractors were incorrectly applying federal law to require patients and residents to show progress under treatment in order to continue to be eligible for Medicare nursing home benefits. Federal law requires no such standard. As I reported, a number of federal cases were “percolating” through the system and had potential to clarify the errors. One such case is Jimmo v. Sebelius, No. 11-cv-17(D. Vt.), filed January 18, 2011. On October 16, 2012, the Centers for Medicare and Medicaid Services (CMS) and a class of affected plaintiffs agreed to a settlement agreement in the Jimmo case and submitted it to a federal judge for final approval. When the Jimmo settlement is approved sometime in the next few months CMS will be required to take definite steps to end the erroneous standard on a national level. This will involve a nationwide educational campaign to inform health care providers, Medicare contractors, and Medicare adjudicators that they should not limit Medicare coverage only to beneficiaries who have the potential for improvement. Instead, providers, contractors, and adjudicators must recognize “maintenance” coverage and make decisions based on whether a beneficiary needs skilled care that must be performed or supervised by a professional nurse or therapist. CMS recognizes that the settlement does not change the underlying law and regulations governing the Medicare program. Because the underlying Medicare law has not changed, nursing homes and other health care providers should implement the maintenance standard now. Because Jimmo will be certified as a nationwide class, it could have implications for people in both North Carolina and Georgia. That is because the settlement establishes a process of “re-review” for Medicare beneficiaries who received a denial of skilled nursing facility care and other services as a result of the of the Improvement Standard after January 18, 2011. Shortly after the federal district court approves the settlement, CMS will announce how beneficiaries can invoke the re-review process. 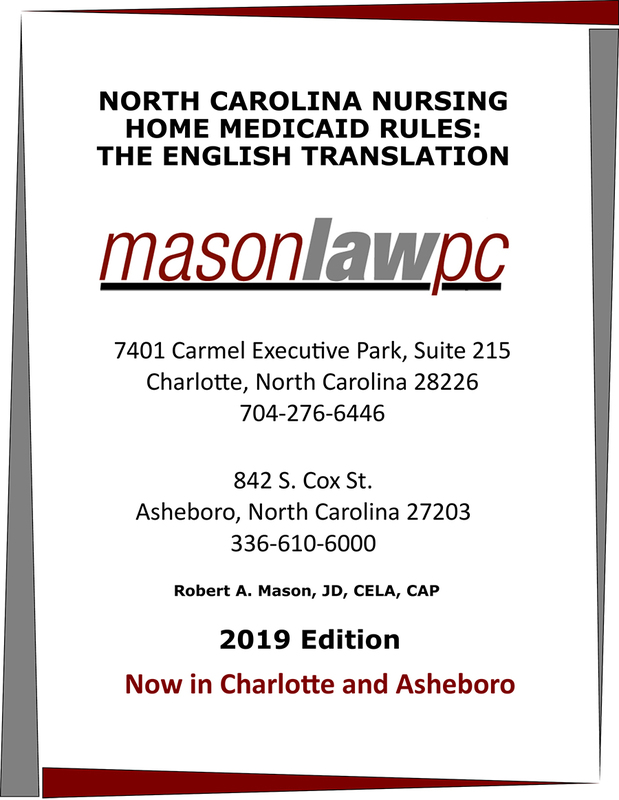 Updates will be posted on the Mason Law, PC, website as more information becomes available. will this include patients who come home from a hospital stay or have a conditrion that needs to be monitored and after three weeks are considered to have plateaued and therefore medicare services are terminsted? Can you advise as to how to force them to continue these services, besides hiring an attorney. ?